Packed with 20g of protein per serving, this superior-quality blend delivers the protein you need. Sourced from the same cows that produce your milk and cheese, it’s simply filtered and spray-dried to produce all-natural nutritionals. Accredited by Labdoor, our Impact Whey Isolate has been through rigorous quality and purity testing, and is officially one of the best protein powders out there. It’s put through an expert purifying process to keep maximum protein integrity without unnecessary extras — resulting in a 90% protein content with zero fat. This helps grow and maintain important muscle,1 making Impact Whey Isolate an ideal support for all training goals, whether that’s beating a personal best or just trying to tone-up. Protein also helps you stay feeling fuller for longer. Return to the gym on form for the next session — this blend contains essential amino acids, including BCAAs, which naturally occur in protein, which helps to build and repair new muscle.1 BCAAs taken after exercise also help to decrease muscle damage, and promote muscle-protein sythesis — helping you to recover. As this blend is fast absorbing, we recommend having it 30-60 minutes’ post-workout — add 1 sachet to water or milk, whichever you prefer. It’s a great way to boost your protein intake any time of the day though, and you can enjoy a huge range of flavors, from Rocky Road to Matcha. Impact Whey Isolate is an ideal blend for minimising your carb and fat intake, perfect if you’re trying to lose weight and tone-up. For more support with your journey to lean, take with Inulin — a dietary fibre which can help with weight loss. Whey Protein Isolate(Emulsifier:Soy Lecithin), Natural and Artificial Flavoring, Maltodextrin, Gun Arabic, Sucralose, Acesulfame K, Tumeric. Whey Protein Isolate (Whey Protein Isolate, Soy Lecithin) , Cocoa Powder, Natural and Artificial Flavoring (Natural and Artificial Flavoring, Dextrose, Cellulose Gum, Xanthan Gum, Sucralose, Carrageenan, Maltodextrin, Acesulfame K, Gum Arabic, Salt). Whey Protein Isolate, Natural and Artificial Flavoring (Natural and Artificial Flavoring, Sweetener (Sucralose, Acesulfame K), Color (Caramel)). Whey Protein Isolate, Natural and Artificial Flavoring (Natural and Artificial Flavoring, Sweeteners (Sucralose, Acesulfame K)). Whey Protein Isolate, Natural and Artificial Flavoring (Natural and Artificial Flavoring, Color (Curcumin), Sweeteners (Sucralose, Acesulfame K). Whey Protein Isolate, Natural and Artificial Flavoring (Natural and Artificial Flavoring, Sweetener (Sucralose, Acesulfame K). Whey Protein Isolate, Natural and Artifical Flavoring (Natural and Artificial Flavoring, Cocoa Powder, Sweetener (Sucralose, Acesulfame K). 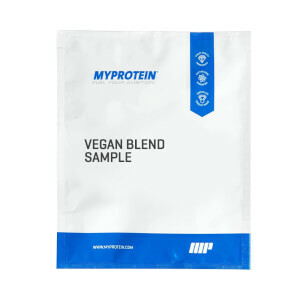 Whey Protein Isolate, Natural and Artificial Flavoring (Natural and Artificial Flavoring, Color (Caramel) Sweetener (Sucralose, Acesulfame K), Salt. Whey Protein Isolate (Whey Protein Isolate, Soy Lecithin), Artificial Flavoring (Dextrose, Maltodextrin, Gum Arabic, Sucralose, Vegetable Juice (color), Acesulfame K). Please note this nutritional information is taken from the 8.8lbs unflavored version. When choosing a flavored version it will reduce the protein content by approximately 3% for most flavors, however chocolate, due to the added cocoa, will reduce it by approximately 8%. I tried the sample size package of Chocolate Brownie and my first reaction was JUST TOO SWEET. I blended with berries and milk. Though the chocolate flavor wasn't terrible and it blended nice and smoothly, the sweetness was just too overwhelming for me. Let me start by saying that I almost never write reviews...for anything. I have been a lover of Syntha-6 and Syntha-6 Edge as my go-to protein powder. However, its higher in calories, carbs, and fats then I would like. The taste is what truly kept me around because I wont drink protein I cant tolerate. Enter Myprotein. I've never heard of this company before until I did some research and found how perfect the contents of this protein truly are. 90 calories, 20g of protein, and low enough in Carbs and Fats that they aren't even worth a mention. I ordered the sample pack because I needed to taste it just to make sure. I'm blown away. I only mix with water and this still tasted amazing. Mixability=10 Taste=10 Contents=10 to top it off I ordered a 5lb package as soon as I finished this sample and there was an immediate discount code on the website for even more savings. This is the protein and company you want to supplement clean eating and tough workouts. Got a couple of samples on my last order before committing to a big bag, strawberry cream was ok, but caramel was SO good. Gonna buy a ton of these to take on the road as well. About to order a big caramel bag!